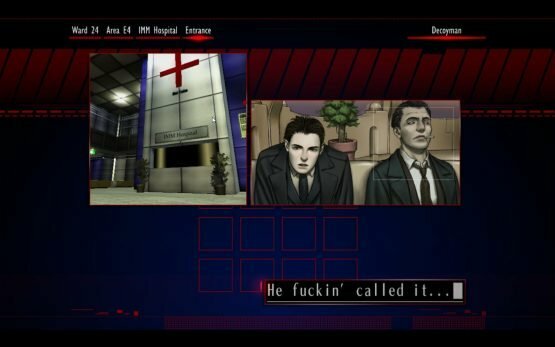 This remaster on PlayStation 4 and PC is actually the first time The Silver Case has been released in English. 18 years is a long time, especially for such a landmark title in the history of Suda 51 and Grasshopper. But, thanks to being primarily a visual novel with some very, very light adventure and puzzle elements, it holds up fantastically. 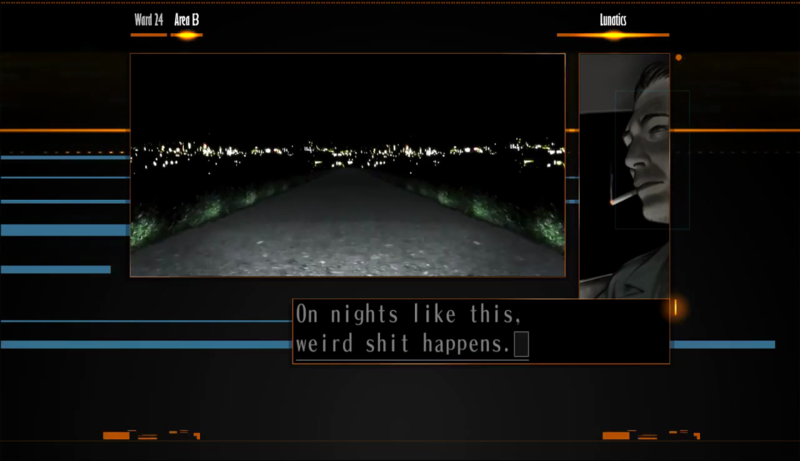 The Silver Case originally released in 1999 on PlayStation. It was the first game developed by Grasshopper Manufacture, and the first designed by Suda 51 that he felt he could truly call his own (then going by simply Goichi Suda). It faced huge limitations, but, given the way it tackled them, this still remains one of Suda 51’s greatest works. It takes place in the near future sci-fi setting of the “24 Districts”, a completely modern city designed around perfect ideals. After a serial killer known as Kamui escapes custody, you as the player character are thrown into the middle of events, joining up with the “Heinous Crimes” unit of the city’s police force. This group is sanctioned to take down criminals with extreme prejudice, “disposing” them to rid the city of the “crime virus”. The creation of this unit is linked to the crimes Kamui was incarcerated for, a mysterious incident called “The Silver Case”, the details of which are only known by a few. The Silver Case is demonstrably The Silver Case through and through. The Silver Case takes you through a series of episodic cases, leading though a web of conspiratorial darkness covering the 24 Wards. Each investigation focuses on a different mystery, and you mainly follow it through by reading the text and looking at the images. It uses a comic book-styled window system, where different things pop up in different places, usually for specific impact. You’ll rarely be looking at a single image with a scrolling text box on the lower third of the screen. It controls the pace of the story, in many cases overlaying different images, video, and text; it’s dynamic and interesting, and stops reading a whole bunch of text from getting boring. The aesthetic of the whole thing is steeped in 90s-era web 1.0 chic, all chatrooms and chunky desktops. Perhaps that’s part of what makes The Silver Case work so well, it’s steeped in its message inside and out. While some other Grasshopper Manufacture games can feel like a (sometimes wonderful) mess of ideas, The Silver Case is demonstrably The Silver Case through and through. There are some direct crossovers between the two sections, but with a completely different protagonist (one that is decidedly not you, the player), and entirely different artwork for the same characters, Placebo hits its own tone. In fact, some of the sections where the paths cross can feel a little creepy. As the main player in Transmitter your character takes a silent role, following the events, which feels perfectly normal — but from the perspective of Tokio you seem menacingly quiet. Comparatively, Tokio has a lot more to say. Most of his section is spent isolation in his apartment or at a bar, as he checks through emails and contacts various people. Sometimes his routine can get a bit repetitive, getting up every day in the same place, going through daily emails including spam, talking to your best friend (a turtle). But it all ends up helping to build an intimacy with Tokio that trumps the other characters. After all, he’s often playing catch up just as much you are. Transmitter is much more fast-paced. The detectives and other side-characters have excellent back and forth, and their own unique voices. It throws you into the middle of things often with very little explanation, forcing you to read between the lines to get a handle on the mysteries early, otherwise you’ll be left perplexed by the time the credits roll. 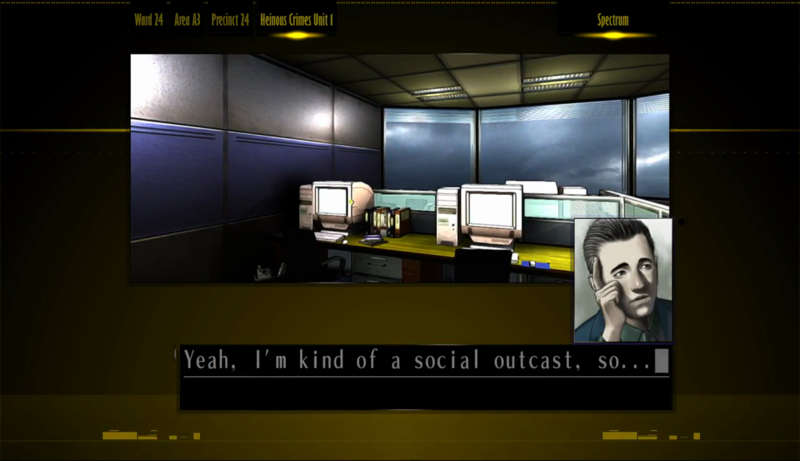 The Silver Case is definitely inspired by a lot of preceding crime and sci-fi works, but the tropes in story and character constantly shift and change. You’ll end up second guessing yourself, but by the end all the themes and arcs that have been cropping up do tie together. The currently PS4-exclusive bonus chapters serve as epilogues that both explain the ending a little more cleanly, and leave the door wide open for further expansion in the future. The true challenge is the story, and following it through. Besides reading The Silver Case like a visual novel action is very limited, with very few areas amounting to more than moving down a straightforward corridor. Mostly these crop up in Transmitter, but they always seem to appear at just the right times to punctuate what’s going on in the story. Throughout a lot of Transmitter you spend your time following the other HCU members very closely, though during the second chapter you end up fobbed off, leading to some of the most extensive “adventure” sections exploring an apartment block, without anyone really telling you much about what you should be doing. They may be limited, but are used with good reason. Some of the puzzles can be taxing, but they’re few and far between. It doesn’t handhold you on how to progress the story, but it’s almost always intuitive as to what you have to, and if you really are missing something obvious it will eventually nudge you (for instance one character cusses you out and tells you to look up at something). As mentioned before, the true challenge is the story, and following it through. And that’s wonderful. 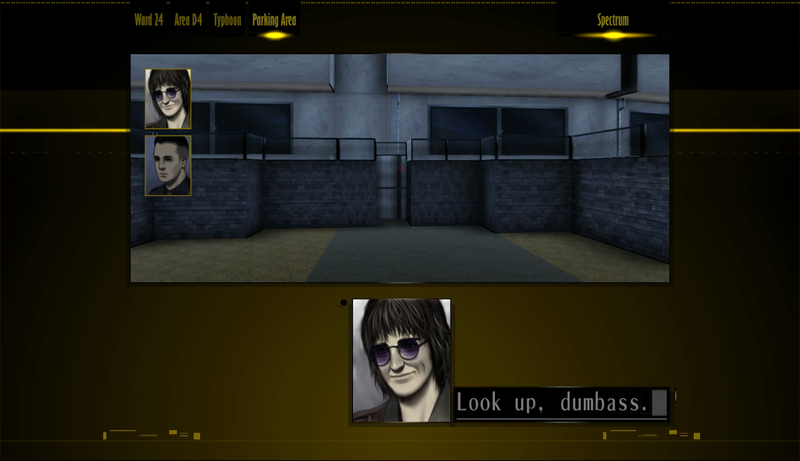 The Silver Case is a game you mainly read, yet wouldn’t work in any other medium than a game. 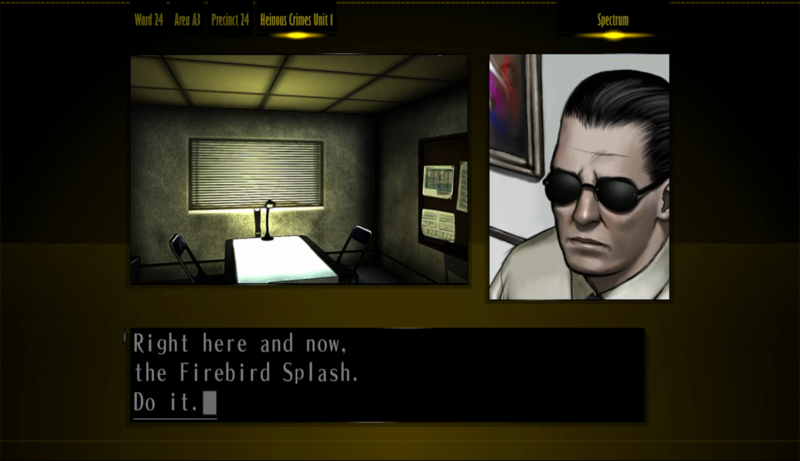 It’d be a mistake to think of The Silver Case as much more than a visual novel, but through its occasional adventure/puzzle detour, as well as forcing you to pay attention to not just what people are talking about, but what they’re talking around, that keeps you personally engaged deep in The Silver Case‘s more-complex-than-it-seems narrative. There are touches of the bizarre, supernatural, and creepy — but it’s quite grounded for a Suda 51 work. Weaving these tones and themes into a fairly real feeling world makes them all the more strong. 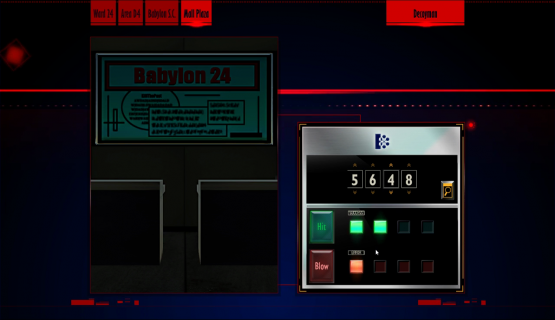 The Silver Case rewards what you put into it, and it’ll definitely reveal more over a second playthrough, as you realise all the little details that were skillfully worked into the dough. The vibes are helped along by a tremendous sci-fi techno score by Masafumi Takada (who’d go on to work on Killer7, No More Heroes, Vanquish, and Danganronpa). From the chaotic 90s techno mess of the main theme evoking internet culture of the era; the creepy subtle, cyclical music that plays in your character’s apartment; or what becomes the comforting humdrum of the HCU office’s theme. Or sometimes The Silver Case plays with silence, punctuated only by the ever-present drone of the text as it click-clacks its way on screen, the voice of the characters scrawling loudly into the text boxes. Throughout, it uses the medium to its fullest to tell the story. The Silver Case is a game you mainly read, yet wouldn’t work in any other medium than a game — it requires it all to come together: the visuals, the text, the music, the sound design, and you, wilfully pushing it along. And they do all come together, in 1999, 2017, or any other year. The Silver Case demands and deserves engagement. Sure, this remaster is lacking in some basic amenities that you might expect from a release like this one — no auto-advance option, no ability to skip around inside the episodes themselves, no way to save in the middle of the very lengthy reading sections. But it’s hard to admonish it for them. It still remains utterly faithful to the original release in this regards, and in some ways you can even argue for these exclusions. 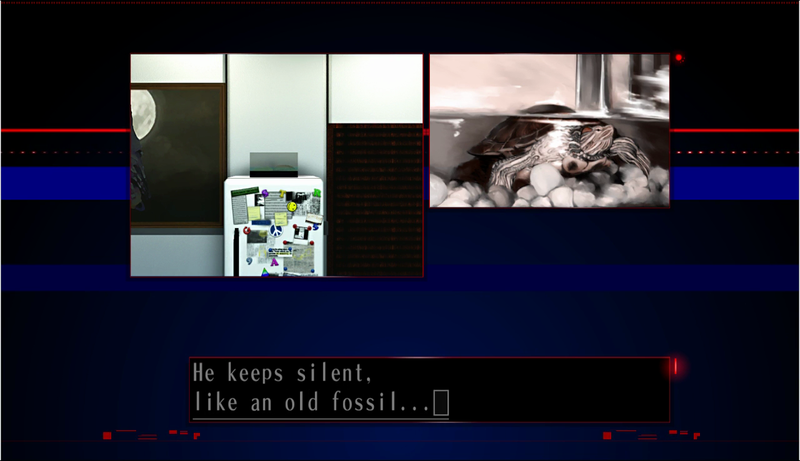 The Silver Case demands and deserves engagement — even the fast forward function on the text is just slow enough for you to be able to speed read, and forcibly slows down during the more intense moments. One addition is a hint button for most puzzles that straight up solves the puzzle for you — not necessarily a brand new feature, though, as the answers were originally printed in the game’s manual. The original release was considered in the options it offered, and for better or worse the remaster is faithful in sticking with them. 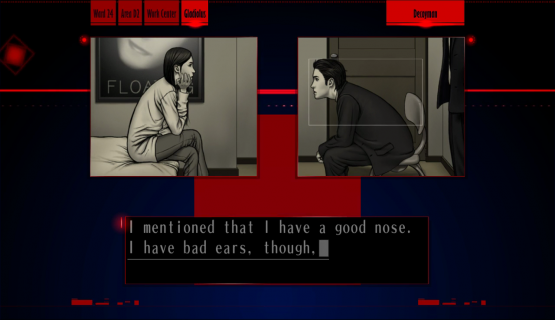 It’s guaranteed that The Silver Case will rub some people the wrong way. But if The Silver Case is your kind of jam, then it’s sure to be one of the jammiest. It’ll easily find its way onto plenty of favourites lists. It might be limited in some aspects, but that all leads to a tightly designed and more focused experiences. It manages to wear its heart on its sleeve so well that it more than holds up to modern scrutiny — even the “turn of the Millennium” vibes can still be appreciated after the fact, and echoes of the issues back then still permeate today. If it’s taken The Silver Case so long to come out in English, you have to wonder what other treasures are still locked away in the past. It’s an important piece of gaming history to have restored. It’d be easy to overlook The Silver Case, but it’s a nuanced masterpiece that many games today could take a lesson from, 18 years after the fact. Something that, if the sequel hooks worked into this remaster are anything to point towards, even Suda 51 will hopefully relearn from himself.